Just need some small accessories and some accurate black leather gloves. The chain mittens don't go so well with a short sleeve hauberk. Anyone know the whereabouts of some quality medieval gloves? I bought custom medieval boots and I don't really wanna fork out for custom mits too. Once the whole thing is 100% assembled I'll change the stitching on a lot of the exterior trim and maybe darken the cloak as well. I may extend the riveted mail by adding some lower arms, but I need a decent steel pincher. I tried to contact them around 4 months or more ago. no responce. Do you know if they are still in business? 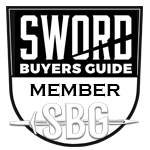 "SBG: Your Journey Into Sword Collecting Begins Here." "It is better to be violent if there is violence in our hearts than to put on the cloak of nonviolence to cover impotence." 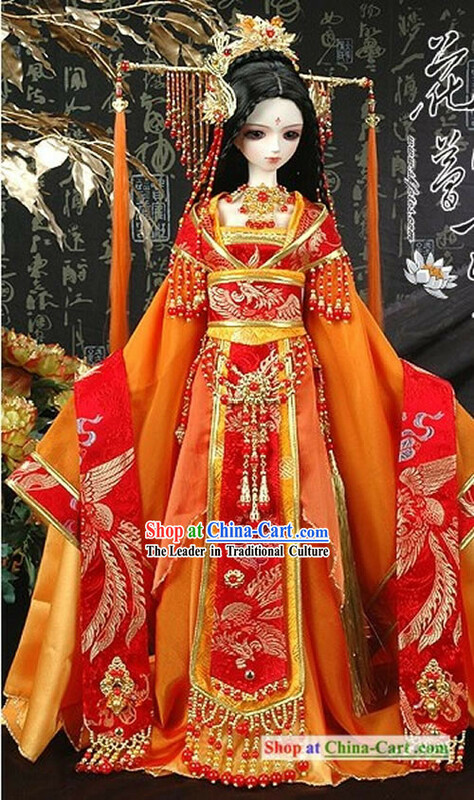 I managed to miss the request for links for Chinese clothing before. I got my hat and my cheongsam from them and a pair of shoes. Good stuff in a linen blend. Alas, linen fades fast. Hang-dry, do not put in dryer. And I don't remember which one my wife has. 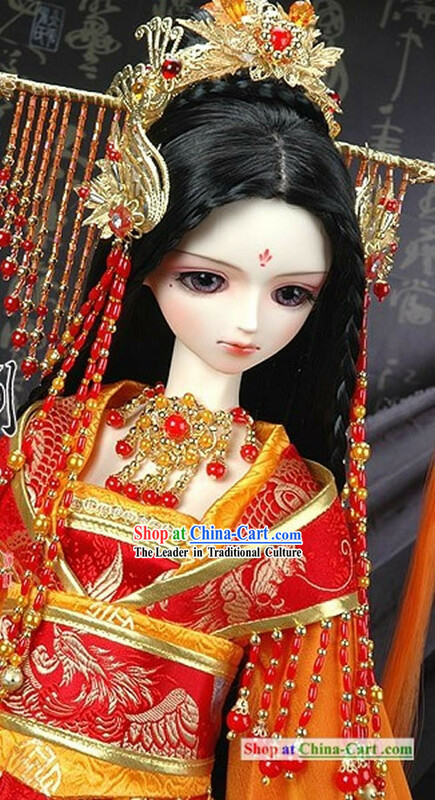 One of the 3 red ones for women. It was hard to choose for her. Mine, not so difficult. 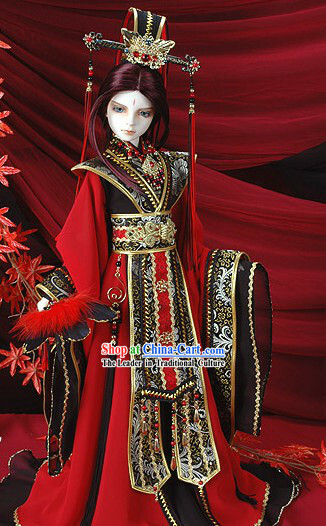 to match the shiny of my black hanfu. Efu Shop doesn't carry it anymore, is teems. The appear to have significantly cut back on their hanfu offerings, down to less than 2 full pages when they had 5 a year ago. All our pictures are on 35mm. Nothing digital yet. I will correct that as soon as I can. This place has more extravagant stuff. If I ever manage to win crown tourney, my wife and I will wear these to Coronation, I think. I've been looking for mail gloves recently and i am struggling. I have some butted mittens that fit me badly. I've come up with a solution of buying some dark coloured rigger gloves from a diy shop for a few quid and then buy some loose mail and put it on myself. p.s Where did you get the shield chris? The UK based company Wield-a-Shield made it, Rob. They do small and simple to big and custom. I drew something up and they made it bang on. Bellied kite hardwood body, rawhide trim, steel boss, old school nails and aged painting. On the inside, leather straps and padded arm cushion. This seems like a good thread to ask this (if not, I apologize): I'm planning a few drawings of viking warriors and I want them to be as historically accurate as I can reasonably make them, so I'm researching viking age clothing, armor, and weapons. I think I've got a good handle on how to depict common viking gear, but I'm still missing some info, and I was hoping someone could help me find it. Specifically, I'm looking for reliable info on Varangian guard gear. Even more specifically, I'm trying to find out if it's accurate to depict one with lamellar armor and/or splinted vambraces and greaves. Hello. I have recently bought some quality, thick leather, and I have been trying to think of something to make with it. Pauldrons, as it seems, are good for beginners, but I have been unable to find patterns, templates or tutorials, specific to leather. Do you know of any such helpful articles? Thanks. Try a different site, it's another I lurk on. Poke around, this site has a HUGE amount of data and some serious reenactors to help. Wow....2014 as a last entry on this topic? That was about the time I was just starting to really get into armor and such. My first armor and helmets came from KOA, and made by Epic Armoury. I got the complete suit of 'Dark Warrior' armor, along with the darkened German sallet helm. Not really steel/steel ready...more for foam or rattan fighting...but it's tough, and the darkened stuff doesn't rust. It's basically maintenance free. They are currently selling most of the Epic Armoury stuff in their 'special sale items' section. Take a look. Good stuff! I'm terrible at posting specific links, so this will have to do: www.kultofathena.com Just click on their 'sale' section and shop away. For my second, and most favorite, go-to place---Medieval Collectibles, and more especially their selection of armor and clothing from 'Mytholon'. 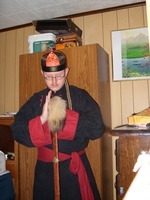 You can see a hodge-podge of armor in my avatar pic. (<----) The gorget, pauldrons, bracers, tassets, and knees are Mytholon products. The breastplate is an Epic Armoury RFB (ready for battle), and the helm is a 14ga. Deepeeka. In short, if you are looking for some 'knock-about', semi-historical armor and clothing, check out MC's line of products from Mytholon. It's sturdy stuff that won't break the bank, and most of the armor pieces are interchangeable with one another. Just be careful on sizing. Their helmets tend to run a bit small for my 23-1/2'' head. Mytholon also has their own website from Germany, I believe. Take a look: www.medievalcollectibles.com Just tap their Mytholon link and enjoy.